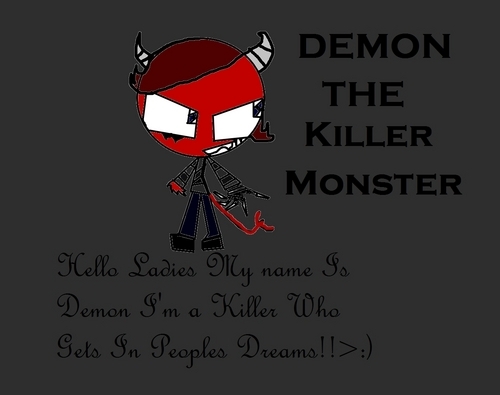 Demon The Killer Monster. well He Is Red :/Lol Thts Why I Hate Coloring I Cant Put Good Colors But Hope U Like It ^_^. HD Wallpaper and background images in the Invader Zim FanCharacters club tagged: demon monster invader zim. You guys better watch out. Demon is Alia's!! Demon:Heh, I...love you too, Alia. Miz:*Rolls her eyes*"How come all the girls like him? 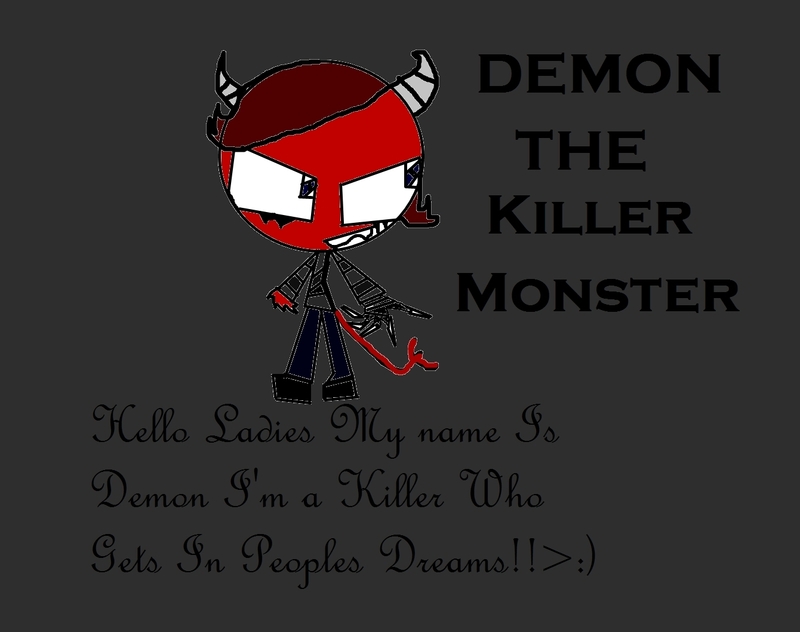 Hes nothing..."
Demon: And How About U Little Mizzy Keep Ur Mouth Shut And I'm Something Ok If f U Dont Like Me Then BACK OFF! !